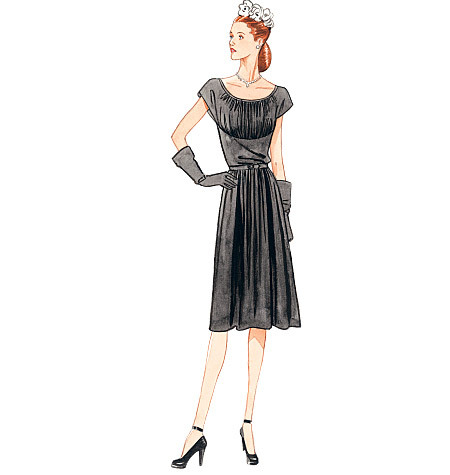 Vogue just came out with their new patterns for summer and I am loving Vintage Vogue pattern V8728 from 1946. I have a soft spot for the gathered chest next to a fitted waist look. I could see this dress as a bridesmaids dress at a summer wedding with the right material. I am not thrilled with the material they used for the live model picture. It is a jersey knit (one of their suggested materials), which is odd to me. It seems like a jersey would be comfortable, but not really enhance the crispness and fullness of the gathers. I do ADORE the live model's hair though. It's like a double roll, but one of the "rolls" is actually a deep wave and the larger roll looks like it almost be half a pompadour. It looks like a sea sculpture. Love it! Back in March I posted about some DIY tutorials on Design Sponge and I got an interesting comment that made think about how to define "Rockabilly." This can be a hard thing to pinpoint because the origin of Rockabilly lies in a mixture of genres (honky tonk, jump blues, etc.) as well as the cultural influence of the late 40s through the early 60s. A lot of Rockabilly music and fashion comes directly from this first wave influence. I have done several posts on music and fashion from this time. You can also use my label 50s Rockabilly to see all of my posts on the topic in general. There was the second wave of Rockabilly in the 80s, when the influence of punk and harder rock n' roll genres added a gritty overtone to Rockabilly. Psychobilly and similar genres came out of this revival and the music and fashion reflected this as well. 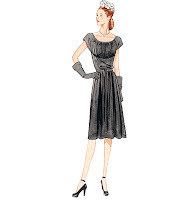 I find that a lot of the Rockabillies I know or see at events wear a mixture of the two styles; perhaps a vintage 50s dress with a spiked pomp and stilettos. "It’s not about being ‘cool’, being a rebel or even thinking of the most unique idea you can, it’s about planning a wedding that reflects you and your partner and declaring your love in your way... You don’t have to be ‘out-there’ or ‘offbeat’, you just have to be you." So on that note, I present to you the website Perpetual Kid. It is so not "Rockabilly" but has a whole lot of nifty stuff that can add up to a whole lot of attitude. 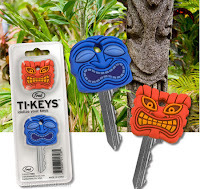 My favorites are the Tiki key-caps, the Gunbrella, and the Bonehead folding comb. Thanks to the Chronically Vintage Blog for turning me on to this fun site!